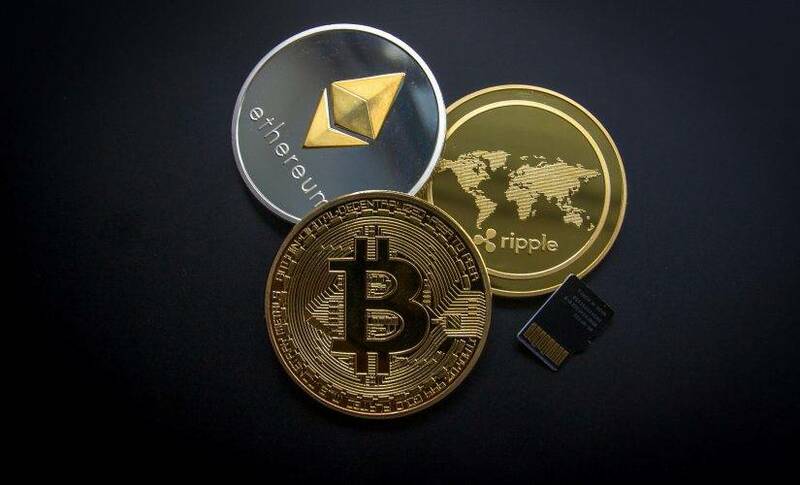 Thanks to all the media attention surrounding Bitcoin and other cryptocurrencies, blockchain technology is commonly associated with finance. But that’s too narrow a vision of this technology’s true capability — the concept of a digitally signed and distributed ledger is universally applicable to business processes. Blockchain technology serves as an objective, technologically sound way to eliminate the middleman from many different kinds of exchanges. And when a step in a process becomes nonessential, removing it becomes obvious, granting businesses immense potential to streamline operations in many ways; we’re already seeing the technology appear in industries like retail, supply chains, and more. To put it simply, blockchain technology will proliferate industries far and wide at a speed that will leave consumers and business leaders struggling to keep pace. The change in the air has potential to cannibalize existing revenue streams and create new revenue streams; companies that don’t start implementing it will soon find themselves losing to competition. 1. Lower operating costs: The blockchain acts as an intermediary, so there’s no need for a middleman to facilitate direct transactions. Smart contracts streamline processes, making them more cost-effective for businesses. 2. Reduced defects: A shared ledger improves confidence of both buyers and sellers. It can be a boon for legitimate businesses. 3. Decreased cycle times: Smart contracts operate on an IFTTT basis. In other words, if the agreed-upon conditions are met (as verified by every node on the network), an action is triggered automatically and instantly. This greatly reduces verification times, which can bottleneck execution speeds. These benefits are important, but perhaps they’re not as revolutionary as one of the foremost changes blockchain beyond banking brings: opening up new streams for revenue generation. Consider, for instance, SWIFT, a financial messaging services provider: In 2017, SWIFT launched a Proof of Concept designed to streamline cross-border payments. This is important because these payments account for nearly half of global payments. The current protocol is slow-moving, especially among the unbanked, and exchange rates can fluctuate greatly in the time between when a payment is sent and received. Unbanked individuals themselves present another opportunity for blockchain technology to create new revenue streams. For example, it’s easier to get a cell phone than a bank account. Because of this, there are nearly five times as many mobile phones in the world as bank accounts (5 billion versus 1.2 billion). That means telecom service providers can capitalize on this imbalance by accepting cryptocurrencies for remittances. Not only will they generate more revenue, but they’ll also save money on bank transaction fees. We see this technology spilling over into entertainment, too. Smart contracts — legal agreements based on blockchain technology that pay out artists’ royalties automatically — are poised to revolutionize the music industry. Two of the biggest pain points in music are digital rights management and royalty payments. An analysis by the Institute for Policy Innovation estimates global piracy costs the music industry $12.5 billion annually. This is due to businesses playing songs and consumers listening without either party paying, but blockchain has potential to become the core aggregator that solves these issues. With a distributed ledger containing set terms for usage of a recorded file, every transfer and play can be tracked. This streamlines the process to ensure both the artist and recording studio can accurately track a song’s reach and collect revenues accordingly. Going further, several organizations, including major utility companies, are working to develop blockchain energy solutions for a peer-to-peer energy network — a concept never seen (nor possible) before shared digital ledgers came into existence. It seems like a natural evolution as so many homes and commercial buildings are now equipped with energy-generating solar panels. In fact, the electric companies could cut bankers out of the equation much like telecom and simply trade energy with consumers on the blockchain. This is about as distilled as the model can become, as cryptocurrency tokens’ values are affected by the amount of energy consumed to generate them. The above article from The Guardian notes that several startups, like Power Ledger, are working on a platform for exactly that. Another, LO3 Energy, is launching a green energy microgrid in Brooklyn, New York, based on blockchain technology as well. And what does this mean for business? From the looks of it, some existing revenue streams may be threatened as blockchain’s prevalence grows. Banks, for example, may find a good chunk of their transaction fees substantially reduced (or even eliminated) because of blockchain technology replacing them as the middleman — forcing banks to look for new revenue opportunities. In the digital world, businesses will likely see cross-disciplines emerge; for example, telecoms and internet service providers have good knowledge of customers, which could be leveraged for financial products. While cryptocurrency gets all the media attention, the underlying blockchain technology is quickly being adopted into more industries than you can imagine. If this rate of progress and investment is sustained, it’s going to be extremely disruptive in as little as just a few years from now. Business executives need to start paying attention and launching pilot programs as quickly as possible to adopt to this change. Blockchain technology goes far beyond cryptocurrencies, and it’s set to disrupt so much more than just financial institutions. The use cases abound, and the benefits are clear — and if that’s the case, what’s stopping you from getting started?